Manchester United have offered a three-year deal to PSG star Zlatan Ibrahimovic, according to the Metro. The lucrative contract would be worth in excess of £7 million for its entire duration, and represents a major step towards signing the striker. That such a long deal is on the table for a 33-year-old is also a big statement, with not many players of that age offered deals of that length. However, the Red Devils aren’t expected to succeed with their offer, according to the report. 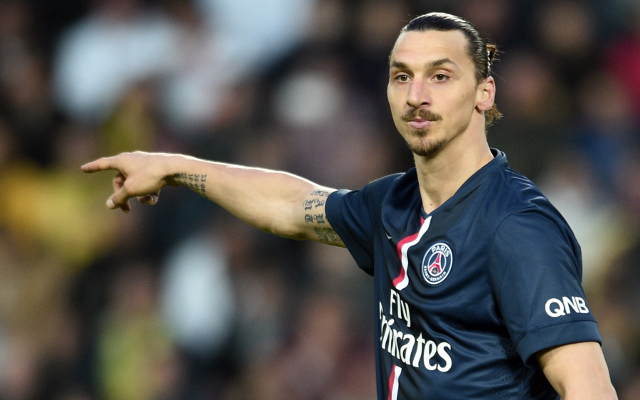 Ibrahimovic appears set to choose AC Milan ahead of the Premier League side, where he will earn £4.2 million a year. Galatasaray had also made an offer to the mercurial forward, but the Turkish side are also set to be disappointed. It may not be as straightforward as that, however, with the player claiming on Thursday that his future was in the hands of his agent, Mino Raiola [Daily Mail]. This could mean United are still in with a chance. This could be a double dose of bad news for United, with the Ligue 1 champions now able to move for a high-profile star in reaction to losing their captain. The Parisian side are being heavily linked with Angel Di Maria [talkSPORT], whom Louis van Gaal made the Red Devils’ record signing just last summer [BBC]. The Argentina international scored four goals and assisted another 11 in his debut campaign, but has been unsettled in England, especially after a break in at his home [Daily Mirror]. This could allow the French outfit to pounce, and after the acquisition of fellow forward Memphis Depay from PSV Eindhoven United, may be expecting the player to depart.